There is still time to apply – we’ll consider applications now up until the end of September. 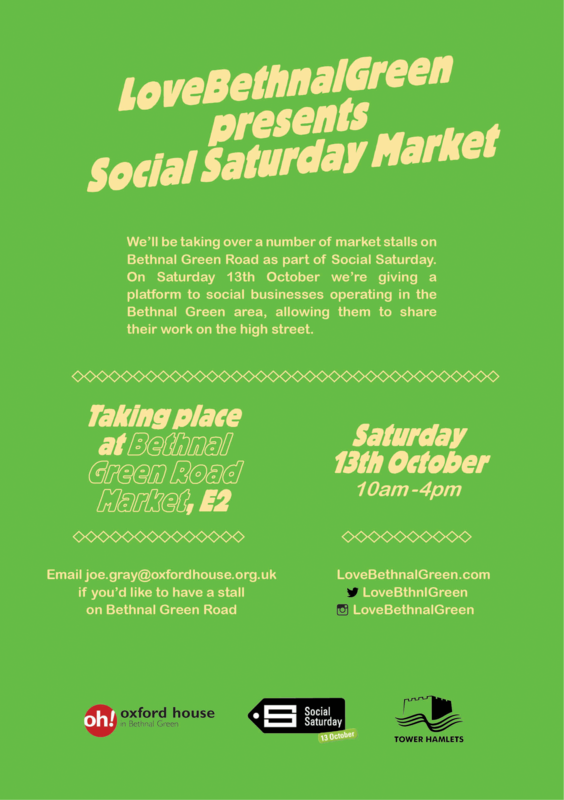 And if you aren’t ready to take a stall – please come down and meet some of the amazing characters trading with purpose in the area. In efforts to reduce energy consumption during the creeping cold ahead, the Council has launched a great initiative aimed at supporting SME organisations in Tower Hamlets to become more energy efficient. 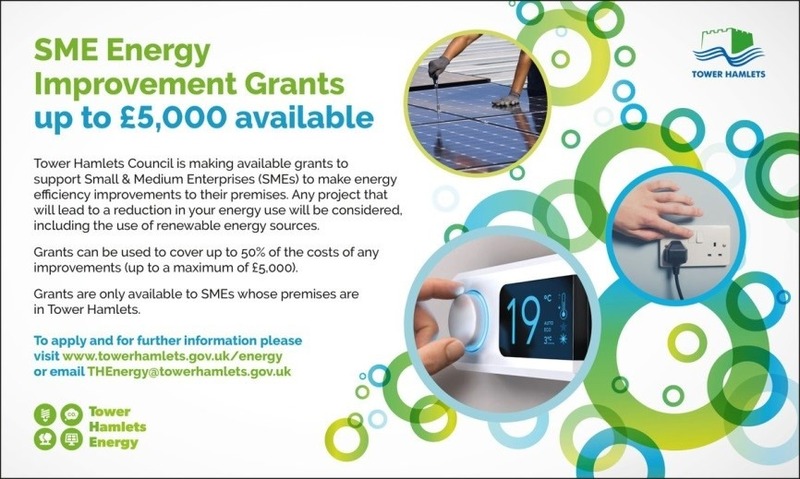 The SME Energy Improvement Grants Programme makes available grants for 50 per cent of project costs up to £5,000 for energy efficiency improvements. These projects can include things such as moving towards using more efficient equipment, heating and lighting upgrades, insulation solutions and utilising renewable technologies. The Council have pledged to support any project which can demonstrate notable energy savings! Applications will be accepted until 8 November 2018. All applications will be assessed by a Grants Panel and SMEs will be notified if their application has been successful. Please note that projects cannot commence until the grant has been approved. If you have any questions about the programme then please use the above email address to get in touch. More information and the guidance document can be found here.